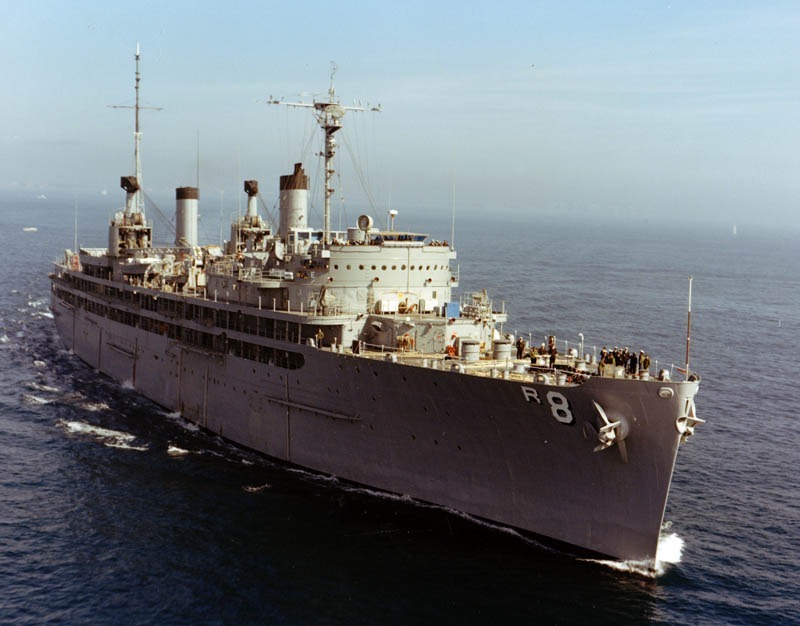 My first fumbling attempts at creating a regular meditation practice took place aboard the USS Jason in the South Pacific in 1980. A quiet place for introspection wasn’t an easy thing to find onboard a navy ship. Climbing into the privacy of my rack, a cot-like bed stacked four high, I would close the curtain and meditate in a horizontal position. I couldn’t sit upright because I only had about two and a half feet of head space available. As any meditator can tell you, meditating while laying down usually leads to sub-conscious rather than superconscious states. With all my meditations quickly ending in sleep I soon gave up the practice. After my military service was over, I once again felt drawn to meditation. I explored new age philosophy, yogic teachings, Buddhist practices and mystical Christian traditions. I dabbled in all of these with an on again/off again meditation practice until I discovered the Autobiography of a Yogi and began following the teachings of Paramhansa Yogananda. I then embraced a daily meditation practice that has endured for over 30 years. I would like to share some of the ideas and practices that have helped me to maintain a lasting meditation routine. As a meditation teacher, I often meet people who’ve enjoyed the fruits of occasional meditation but struggle in the attempt to create a regular practice. We live in a busy and hectic environment – a fast moving world of computers, cell phones, crammed schedules and intense sensory overload! While meditation is the perfect counter to all these stresses, it’s not easy to create a successful daily practice in this challenging atmosphere. Choose the right type of meditation for you. I wasn’t successful in creating a strong meditation practice until I found the right path of meditation for me. Ask yourself: What is it that I am seeking through meditation? Is it peace of mind? Spiritual growth? Stress management? Knowing what you want to get out of meditation will help you to find the right type of meditation for you. East West Bookshop offers many books and classes on meditation. 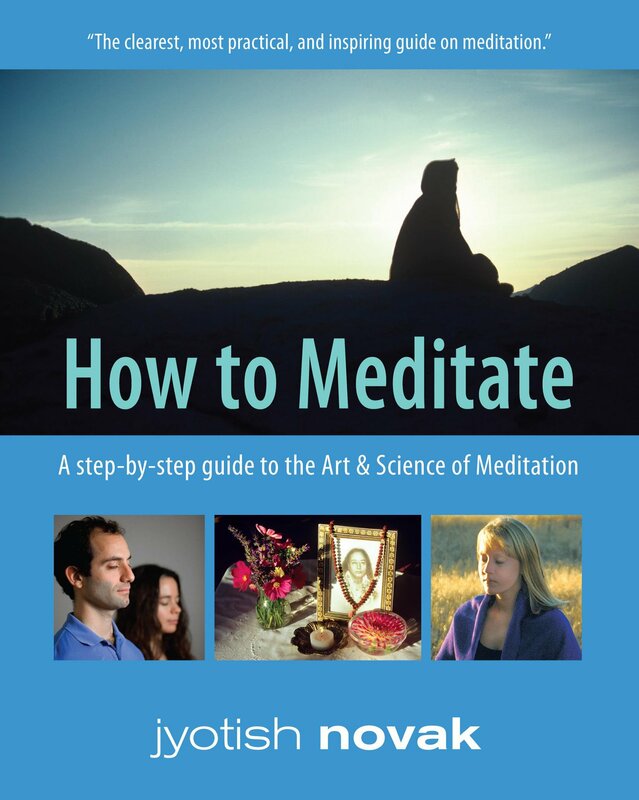 Books include How to Meditate by Jyotish Novak (my favorite), Making Space by Thich Nhat Hanh, Journey of Awakening by Ram Das, and many, many more. Classes at East West Bookshop include regularly scheduled How to Meditate condensed workshops and Fullness Meditation classes. We also have a full schedule of guest presenters and authors representing a diverse selection of meditation practices. Explore the different approaches to meditation through classes, events and books until you find the one that is right for you, then dive deep into that one meditation practice. Provide structure and regularity. The ego and subconscious mind tend to resist meditation. Structure can be very helpful in aligning subconscious expectations with the loftier aspirations of the soul. In other words, it will be easier to create a strong meditation practice if you set aside the same time and place for it every day. For most people, first thing in the morning and/or right before bed works best. The important thing is to find a schedule that works for you and stick to it as much as possible. Create a separate space for meditation. It's very helpful to have a place set aside just for meditation. A small room, or even a closet is ideal, but a screened off section of your bedroom can also work as well. In time, the space will become permeated with the vibrations of meditation, making it easier for you to quickly enter into an inward state of consciousness. Create an altar. Success in meditation requires an open heart and a focused mind. An inspirational altar can be helpful with both. It can help you to maintain a sense of spiritual longing, thereby strengthening your desire to meditate regularly. It can also give you a focal point for your concentration and spiritual yearning. 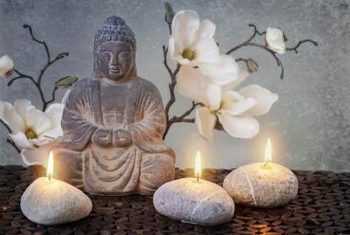 An altar can be comprised of candles, crystals, inspiring pictures and/or statues, dream catchers, flowers, written inspirational thoughts – whatever increases your longing for inner reflection. The things you place on your altar should give you a strong sense of inner peace and self-expansion.Meditate with others. When we come together for meditation, our energies and spiritual yearnings are joined together, uplifting the whole group into higher states of meditative awareness. These deeper meditations will often have a positive affect on our solitary meditations as well. In addition to meditation classes, East West Bookshop offers free group meditations on Sunday mornings at 9am and Wednesday evenings at 7pm. Stay inspired. Meditation is both an art and a science. By practicing the science of meditation, we withdraw our energies from the external world and focus our attention within. Through this withdrawal from the tumultuous ups and downs of our outer lives, we experience an increased sense of peace, harmony and joy. Through the art of meditation, we continually blow on the embers of our hunger for self-expansion and spiritual growth. We nurture our connection with that spirit of oneness that brings us back to our meditation cushions (or chairs) time and time again. This means something different to each of us, and therefore, no one can tell us exactly how to do it. It’s a matter of constantly reconnecting with the highest nature of our souls and opening up to a flow of grace and inner guidance. Poetry, scripture and other uplifting writings help many to stay inspired. Spending time in nature also feeds the soul and opens the heart for many truth seekers. Spiritual chanting and prayer help others to stay connected. Find what keeps you uplifted and inspired, and make it a regular part of your life. 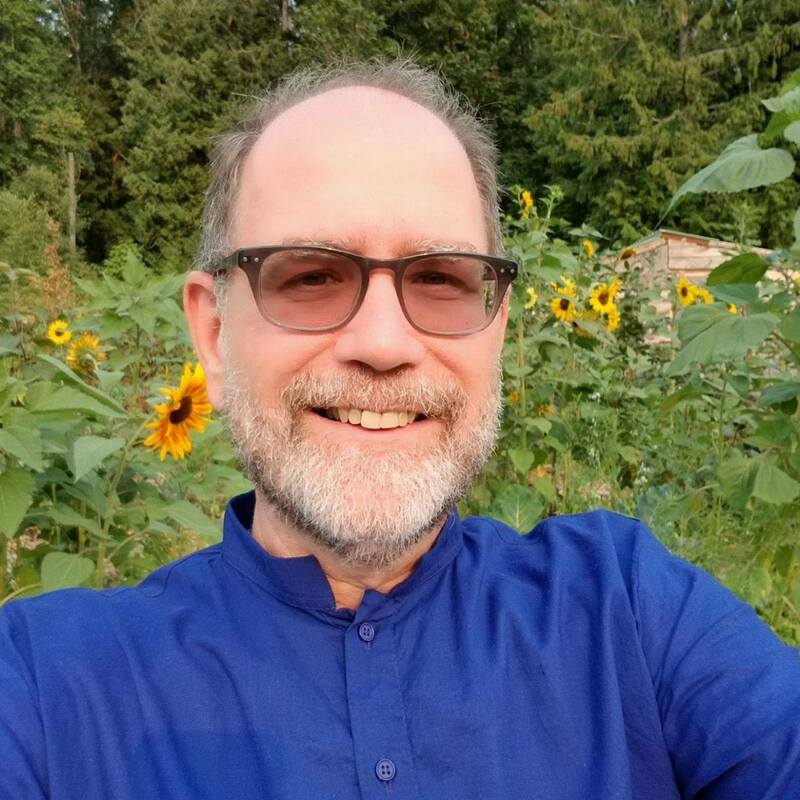 It is my sincere hope that East West Bookshop may be a beacon of light in the Puget Sound area, offering support to meditators and spiritual seekers of all paths. Visit us whenever you feel you’d like a fresh dose of inspiration. Have a cup of tea on us and bask the uplifting vibrations that permeate the store. Thank you for your sharing the fruits of a sincere meditation practice!